Children are particularly susceptible to dehydration. Studies show that between 60 and 70% of school children begin their school day already dehydrated and that this adversely effects cognitive function, performance and mood. 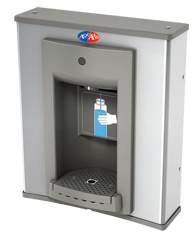 At AquAid, we understand that remaining properly hydrated helps to improve attention, short-term memory, and well-being; which is why we offer water coolers specifically designed to suit the school environment. 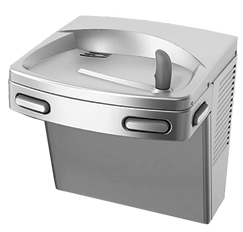 Our water coolers are all equipped with anti-bacterial taps to ensure safe drinking water, and various drainage options to reduce overflow and spillage wherever possible. And to help create and instil better hydration habits, we also offer free refillable drinking water bottles and free school posters to help keep water top of mind during the school day.